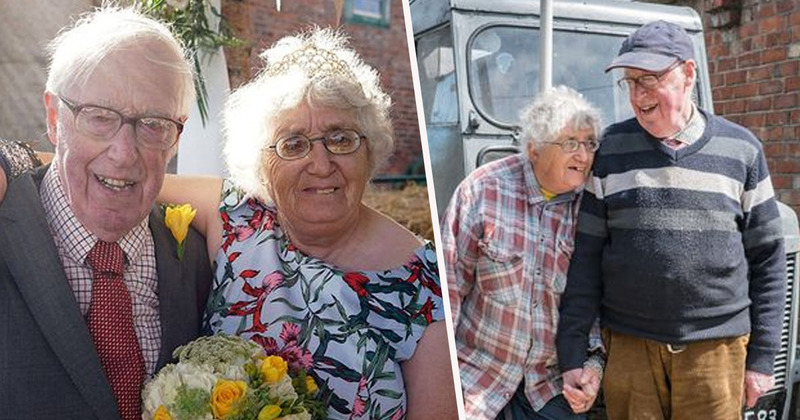 A couple who’ve been together for forty years, living self-sufficiently on their farm, say they’re just as happy now as when they first met. 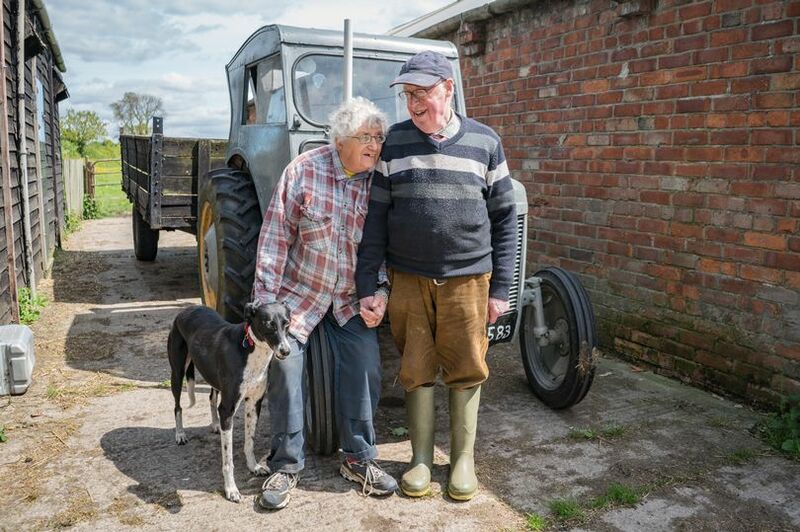 90-year-old Steve Green and his wife Jeanie, 67, live and work on their farm in Yorkshire. 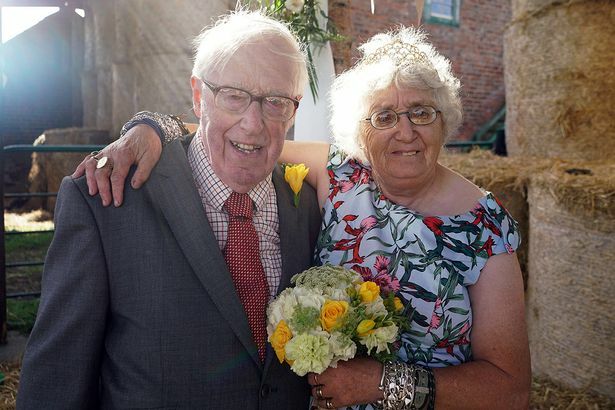 The farthest they’ve ever travelled was on their honeymoon 40 years ago, when they visited Whitby on the Yorkshire coast, just 50 miles away. They say they’ve never used the internet, never been on a plane and only ever been on a steam train. Steve still works 18-hour days on the farm, starting at 6am to tend to the animals. The couple make all their meals from scratch using food from the farm, with their only indulgence being getting fish and chips on a Friday night. Steve and Jeanie’s story – something of a rarity nowadays – has seen them become local celebrities. First appearing on Channel 5’s The Yorkshire Vet, the couple caught many viewers’ attention, and are now set to star in their own episode of the programme, detailing their happy life together and even renewing their wedding vows. 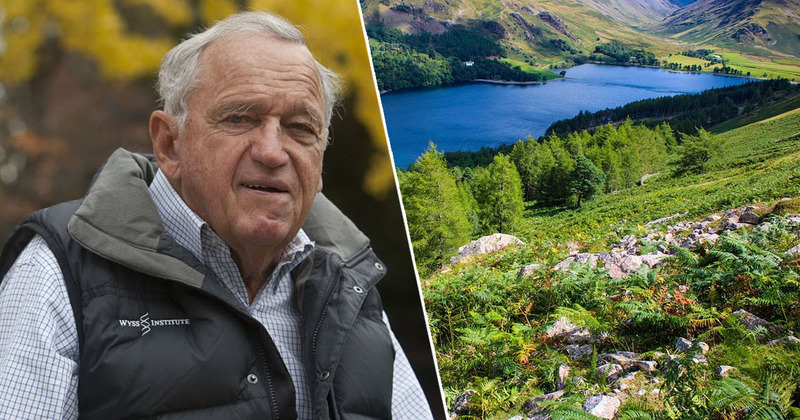 We’ve worked together every day for 40 years and we hardly have a cross word. It just works. We love the land and we love one another. I was living next door and Steve had seen me and wanted to ask me out so he sent my brother to ask me. It was love at first sight for both of us and within three months and ten days we were engaged and married. I married the local farmer, which was fantastic, and we’ve never looked back. Farm folk like Steve and Jeanie are dying out – you don’t get people like them on farms any more. It’s incredible they’re still going 365 days a year. They’re very happy. If everybody could lead as simple life as them the world would be a much better place. Thanks to their heartwarming story, Steve and Jeanie have gained something of a cult following, with fans from all over the world – including Australia and the US – travelling to Yorkshire to visit them. Though many people have asked if they’d ever retire, Jeanie says it’s because of their way of life that they’re so happy, adding: ‘We are happiest with our life and the simplicity of it. We wouldn’t want to change anything’. The Yorkshire Vet: The Greens’ Story is on Channel 5 at 8pm, Tuesday, March 5.